When T-Mobile and Sprint announced that they’d reached a merger agreement, they also revealed that some executive titles would be shuffled as part of the deal. Today one of those changes has officially been made. T-Mobile said today that it’s appointed Mike Sievert as its president. The change is effective immediately, and Sievert will continue to serve as T-Mobile’s Chief Operating Officer, a title he’s held since February 2015. The title of president at T-Mobile was previously held by John Legere, who continues to be T-Mo’s Chief Executive Officer. 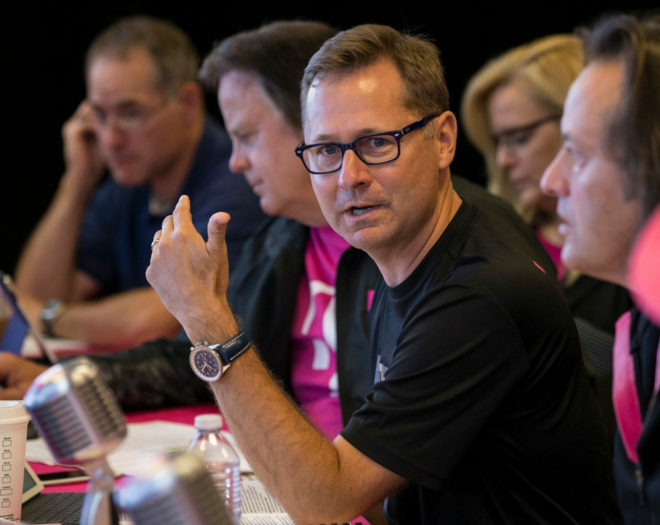 T-Mobile previously said that Mike Sievert would be president and COO of the combined T-Mobile-Sprint if the deal is allowed to go through, but it looks like T-Mo decided to just go ahead and make the change official this week. It’s not the only one making executive changes, though, as Sprint recently named former CEO Marcelo Claure as Executive Chairman and appointed Michel Combes as its new CEO. Hmm early preparations. Both parties are confident then. Anyone know the break up fee terms if the merger does not end up going through? There is no break-up fee for this deal. Sprint and T-Mobile made a 4 year roaming agreement alongside the merger deal that took effect immediately and will continue if the merger is blocked but that can’t be considered a break-up fee. source for the roaming agreement? Not big in business but does this mean john legere technically is not the head of tmobile anymore? Or? The president of the company reports to the CEO. Sometimes the CEO is also the president, but when they are different individuals, the president reports to the CEO. John Legere will still be the CEO of the new T-Mobile. Sounds like Legere is preparing to spend more time with the board to set policy, and giving Sievert more responsibility with executing it. They seem even more certain that merger will be approved. I’m guessing this frees up John to spend more time in DC dealing w/ TPTB to secure the merger.